Sriracha Factory Under Fire For Fumes; City Sues : The Two-Way Some people in Irwindale, Calif., say the smells coming from the factory where the hot sauce is made are very irritating. They report burning eyes, sore throats and headaches. So the city has asked a judge to order a halt in production until a fix can be found. Complaints from nearby residents about "burning eyes, irritated throats and headaches" have led the city of Irwindale, Calif., to ask a judge to order the company that makes Sriracha hot sauce to suspend production. According to the Los Angeles Times, city attorneys "filed suit in Los Angeles County Superior Court on Monday, claiming that the odor was a public nuisance and asking a judge to stop production until the smell can be reduced." NBC Los Angeles says "the complaint alleges the smell is so strong that residents have moved their 'outdoor activities indoors' and even left their homes temporarily to avoid the stench." CBS Los Angeles adds that: "The city staff met with Huy Fong Foods officials Oct. 1 and company representatives said they would 'do everything possible to abate the odors.' But on Oct. 16, the city staff was told by a company official during another meeting that no odor problem existed, the suit says." One nearby resident, Rita Sanchez, tells CBS Los Angeles that the smell and the tingling, burning sensations it can cause are "kind of unbearable." But another young woman, Sabrina Cabrera, isn't bothered. She compares it to the odors from neighbors' cooking. Both the Times and CBS Los Angeles say their calls and emails to Huy Fong Foods were not immediately returned. A judge is due to consider the city's complaint on Thursday. There's a lot at stake — OC Weekly reports that Huy Fong's "655,000 square foot facility can produce 200 million bottles of the bottled crack per year." Though you may be familiar with the increasingly popular sauce, as our friends at Southern California Public Radio's Take Two say, it is "totally hot right now." The first annual Los Angeles Sriracha festival was held over the weekend. 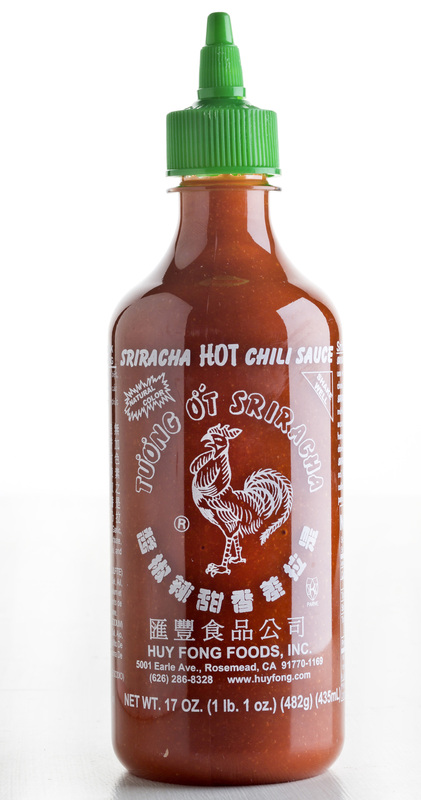 -- "Confessions Of A Sriracha Fanatic." -- "Sriracha-Baked Salmon And Kale Wraps With Roasted Red Pepper Sauce." -- "Sriracha-Marinated Roast Chicken With Root Vegetables." If you're nervous about such sauces, our friends at The Salt have advice about "How To Tiptoe Into The Hot Sauce Craze."